Synopsis: TJ may not like cats, but that doesn't stop a taxi from showing up at his door bearing his grandmother's four felines. Killer, Cleo, Kink and Maximillian the Emperor—Max for short—invade TJ's life and replace dinosaurs as the topic for his school project. His friend and partner for the project, Seymour, is deeply disappointed; the cats in his drawings all come out looking prehistoric. The animals' presence in TJ's house leads to a series of adventures, one involving the police and another involving a mass escape. 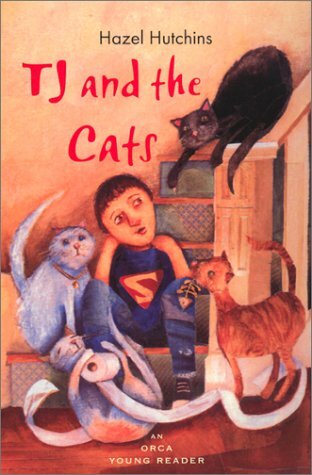 Book Description&colon; What is a cat-hater to do when four cats take over his life?